Hi There! This is my second post of the day. 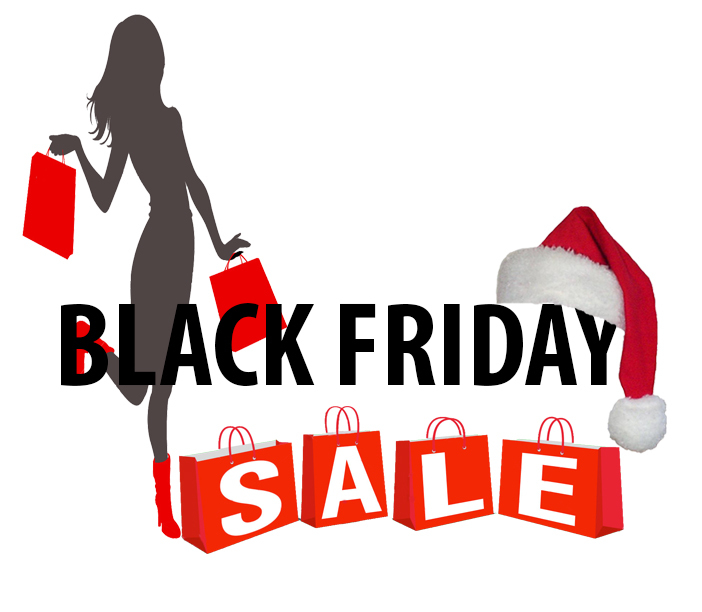 Now that we are a week away from Black Friday, I thought I would share with you some great Black Friday deals you should look out for. Amazon: Black Friday sales are already here, With Amazon leading the pack. Amazon kicked things off at 3 a.m. ET (midnight PT) last night with the first of tens of thousands of sales during its Countdown to Black Friday Deals Week promotions. The site is promoting discounts on a range of electronics, toys, clothes, and household goods, with most deals available only for 24 hours or until they’re sold out. Ann Taylor: Enjoy 50% off everything in stores and online, using code CELEBRATE, Wednesday through Sunday. Beauty Bridge: Save $10 Off Any Order of $50 Or More & Get Free Shipping On Orders Over $49 Site Wide At BeautyBridge.com! Use Code: 10OFF50 At Checkout! Best Buy: Shop Black Friday doorbusters and thousands of great deals. BH Cosmetics: Buy more and save more. Get $5 off $20+, $10 off $40+, and $15 off $60+ plus get a free mystery gift! Use Code: MORE. Bloomingdales: Get $20 off for every $200 you spend on great selection of items (minor exclusion apply). Additionally, save 50% on select items. Banana Republic: Receive 50% off any five regular priced items in stores and online, Thursday through Monday. Use code BRFIVE. Dolce Vita: Shop Black Friday and receive discounts reaching up to 60% off retail, plus an extra 20% off sale, use promo code BLACK20. Easy Spirit: Enjoy 60% off your entire in-store purchase on Black Friday (minor exclusions may apply). Fitbit: Mark your calendar for the bright light & big deals during the 5-day Black Friday sale starting Nov 24. Fossils: Get 30% off your entire purchase (on select merchandise), starting 11/24/2016 through 11/28/2016 using the promo code BRIGHT30. G by Guess: Cyber Monday Sale: Up to 70% Off + Free Shipping. Leather Coats etc: 50% off all styles plus an extra 25% off everything, including clearance with code GIVING25. Free shipping on all domestic orders. Neiman Marcus Lastcall: Save extra 50% to 80% of all clearance items during the Black Friday savings deals. Nine West: Shop 50% off all boots and booties, up to 50% off almost everything else, and extra 20% discount on all orders $125+, Black Friday. OLEHENRIKSEN: Get a FREE $100 Surprise Gift Bag with $50 purchase at OleHenriksen.com! Valid 11/22 – 11/28. Use code: 100GIFTBAG. Overstock: Overstock’s Black Friday online deals for 2016 are your chance to find the season’s best sales while avoiding searching Black Friday ads all day and the crazy doorbuster deal crowds. We even have many holiday discounts with free shipping! Rent the Runway: Enjoy 25% off all orders $75+, Black Friday through Sunday. Steve Madden: Buy one get one 70% off (exclusion may apply) in-store only Black Friday, plus receive a free limited edition pack of patches while supplies last. Target: Target is hosting 10 Days of Deals starting Saturday, November 19. Don’t forget to take advantage of the amazing deals. What are you waiting for. Take advantage of the amazing deals at the stores. Whether you want Black Friday or Cyber Monday. Let me know if there are any other amazing deals that you know of. Don’t forget to sign up for Ebates and shop through this site to get great cashback deals. This entry was posted in Holiday, Shopping and tagged Amazon Black Friday Deals, Ann Taylor Black Friday, Banana Republic Black Friday Deal, beautybrands, Best Buy Black Friday, Black Friday, Black Friday Deals, bloomingdales, Dolce Vita Black Friday Deals, Fitbit, Fossils, Holiday Shopping, Holiday Shopping Deals, Nine West Black Friday, OLEHENRIKSEN, Overstock Black Friday Online Deals, Rent the Runway Black Friday, Steve Madden Black Friday, Target Black Friday Deals by allaboutme31. Bookmark the permalink. Avoid the store crowds and take advantage of the online deals during Black Friday at the comfort of your home.